Looe's first Making Waves music festival has been hailed a great success with an estimate of more than 2000 people flocking into the town on those three days. The weather was glorious and it was only on the final evening that it began to rain but even that couldn't stop the enjoyment that was being had by all. A musical parade took to the streets to welcome everyone to the event and as they walked around the town you could hear every kind of musical instrument and it was delightful to watch. Throughout each day the streets were full as revellers moved from one stage to another and in the evening all the pubs and restaurants done a roaring trade. 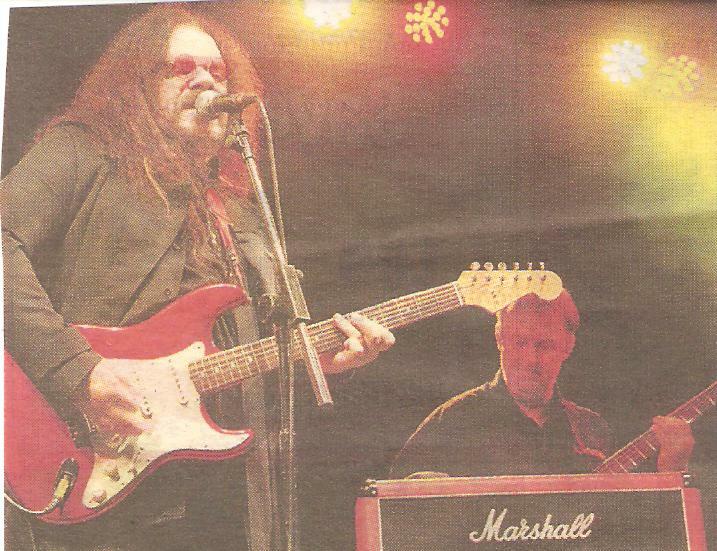 One of the big na mes was Roy Wood of Wizard fame and I can remember dancing to his music many years ago and hearing him brought those memories back! Was it that long ago I was wearing flares!! I think there was an estimate of around 70 bands taking part in the festival and hats of to the organisers. I am not sure if the cost of putting on the event was raised but I believe that it is not always about making money but showing what Looe can do and making sure a great time was had by all and I know that happened as there are talks already about next year with the first fundraiser being held.